A recruitment firm is celebrating after winning a large contract with a major County Durham manufacturer. Resource Management Solutions (RMS) is now the exclusive HR and recruitment partner of Peterlee-based NSK, one of the world’s leading manufacturers of bearings, linear technology and steering systems. Darlington-based RMS works with companies of varying sizes, from niche local specialists to global blue-chip sector leaders across a wide range of industries, including many firms on Aycliffe Business Park, to provide recruitment, payroll and HR managed services. RMS have successfully managed the TUPE transfer of 160 workers and will be working in partnership with NSK until at least 2022, with responsibility for employee engagement, on-boarding, departure management, HR compliance, HR administration and reporting. 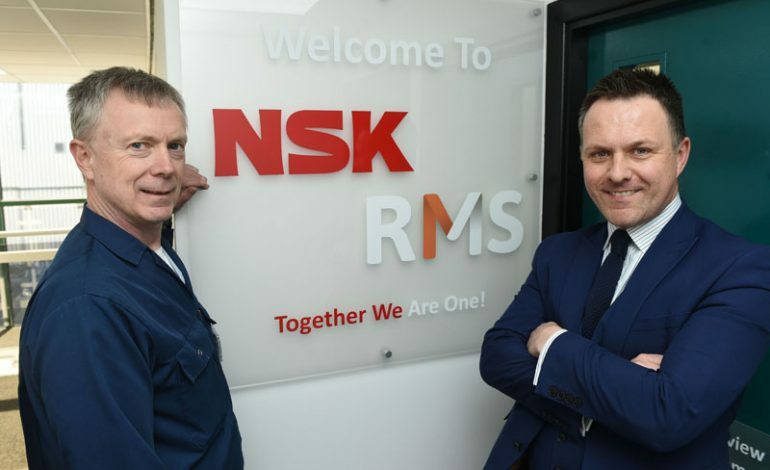 NSK HR manager Steve Metcalfe – pictured (above, left) with RMS operations director Matthew Telling – said: “NSK are very confident that we’ve selected the right HR and recruitment partner in RMS. “Over the course of the past six months we’ve undertaken a robust and comprehensive tender process. “RMS emerged as the stand-out partner due to their track record of proven capability and expertise within the automotive sector. “RMS have managed a seamless transition from our previous supplier, communicating effectively with the flexible workforce and the NSK management to ensure that it was business as usual for everyone concerned. RMS’ work will align closely with NSK’s overall workforce strategy creating a multiskilled, engaged, talented and proactive flexible workforce. RMS operations director Matthew Telling said: “With more than 18 years’ experience of working with global manufacturing OEMs, Tier 1 and Tier 2 suppliers within the automotive industry, we have gained the knowledge and understanding to be an effective on-site HR and recruitment partner. “With the impending changes within the industry we need to be able to support daily operational demands, enabling leadership teams to focus on the core business while HR focus on all people management and employee relations matters. “This will offer greater visibility of HR management information and provide the ability to drive NSK’s HR and recruitment functions more effectively, while delivering cost savings. “We are a trusted partner for the automotive sector. We’re proud of the service we deliver. The model we’ve developed over the course of time is tried and tested, and can be transferred successfully across many sectors. “We have an exceptionally knowledgeable team, both in our new Peterlee office and across the RMS UK network, and we will utilise their extensive knowledge to ensure that NSK receives a full and outstanding service. 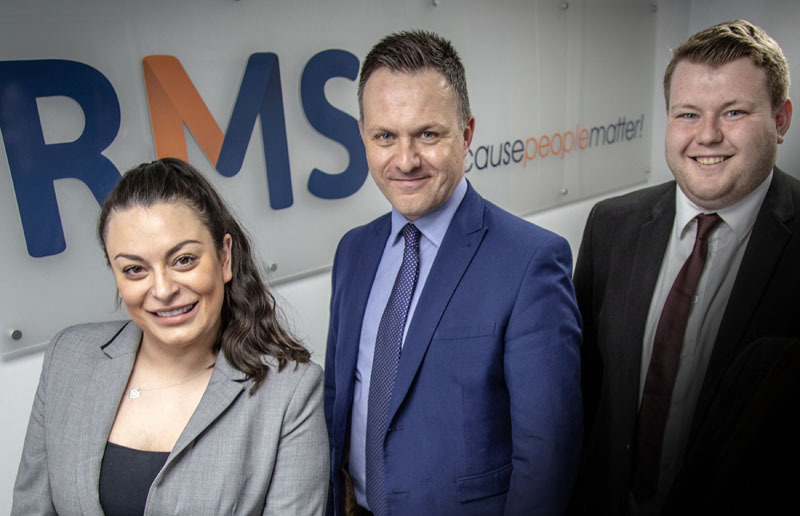 RMS has also recently added two new key staff to its team in the past month in a bid to explore new markets and as part of major growth plans. Already with a strong regional and national reputation in manufacturing and engineering sectors, RMS are strengthening in key new areas. Phil Wake, from Darlington, has been brought in to head up a new construction and civil engineering department. RMS have also appointed experienced recruitment professional Natalie Makari, from Hartburn, Stockton, to head up the day-to-day operations of the recruitment team, boosting the RMS management team in the process. 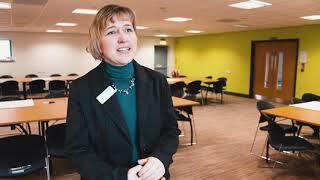 Telling added: “These are crucial appointments for RMS as we look to build on our success and explore new opportunities. “We have built up an excellent reputation in the North-East region, which we’re looking to strengthen, while also growing the business through diversifying into new markets. RMS, which has enjoyed year-on-year growth since its formation, was named as one of the fastest 50 growing North-East businesses by Ward Hadaway two years running in 2016 and 2017 and was awarded Best Specialist HR and Recruitment Company in the 2017 North-East Enterprise Awards. With its head office in Darlington employing 18 people, RMS also has 11 onsite offices across the UK employing a total of 35 people. Since the firm’s inception in 2000, RMS has also helped to raise thousands of pounds for charity and voluntary organisations.